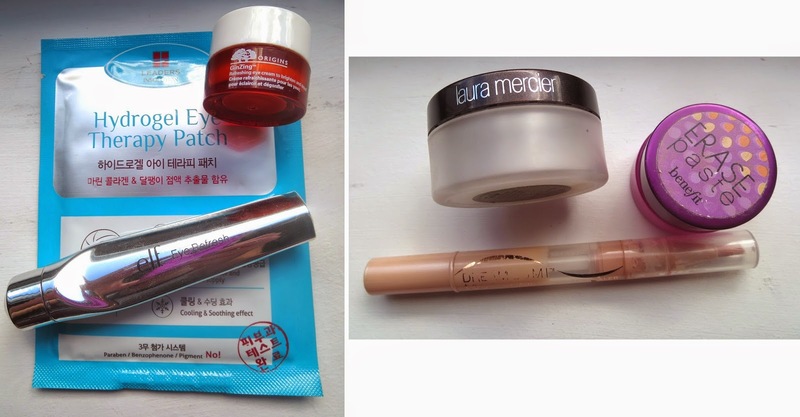 Puffy eyes and dark circles got you down? Fret not, it happens to all of us. Whether it's genetics, or you haven't been getting enough sleep, or ate too much salt...Sometimes a rough reflexion of us appears in the morning. It's harsh, I know, but there are few easy things we can do to help! Besides the obvious like getting enough sleep, eating right, drink lots of water, yadi yadi yada [Insert Dr.Oz's best tips here]...Sometimes, it just ain't happening! 1. Start off with eye patches. I like these Hydrogel Eye Therapy Patches from Leaders, they're inexpensive and efficient. They are clear gel patches that you leave on for 20 to 40 min (maybe not ideal on those rushed mornings, but you know for events and stuff they're a must). You could also just use one of these refreshing roller balls (think Garnier). I like this super affordable one from e.l.f. (you can order online or find it at Target for around 4$). You can use this before and/or after moisturizing the area. Or simply, use a cold spoon! Just leave 2 spoons in the freezer for a few minutes and press them against your puffy eyes. It will be refreshing and just help take down the puffiness a notch. 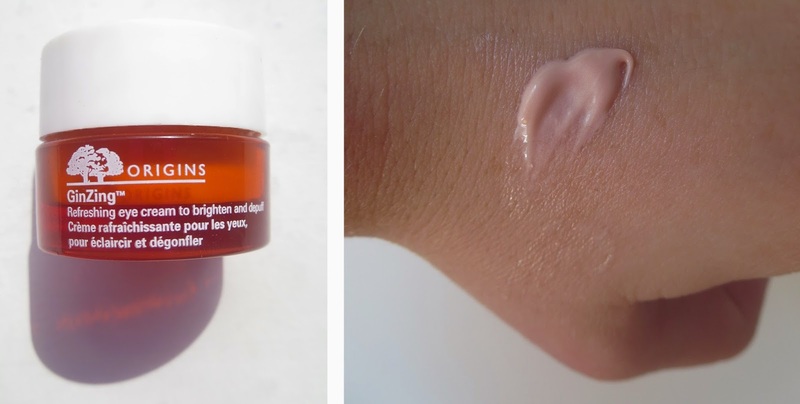 For these kinds of days I really like the Origins GinZing Refreshing Eye Cream. As per the Sephora description : "caffeine from coffee bean, Panax ginseng, magnolia extract, and natural optic brighteners rapidly wakes up, refreshes, and restores radiance to tired eyes." And yup, I completely agree. I've had this cream years ago and just rediscovered it in the Origins kit I got as a Beauty Insider perk, and man do I love this stuff! Now that you're all prepped, the concealing part is pretty straight forward. When your dark circles are pretty bad, you'll notice some blue/purple hues. You want to use peachy/orangy tones to counteract those. My go to neutralizer is Benefit's Erase Paste. It comes in 3 shades, so you can find the right one for you. Make sure you ONLY use this on the discoloration as opposed to ALL OVER your under eye area, we are just trying to counteract those hues. Once you're evened out, you can then go with a flesh toned concealer or an eye brightener, if you feel the need for it. When I still want that extra boost, I reach for the Maybelline Dream Lumi Touch Highlighting Concealer in Radiant. 5 easy steps to get your best lashes! 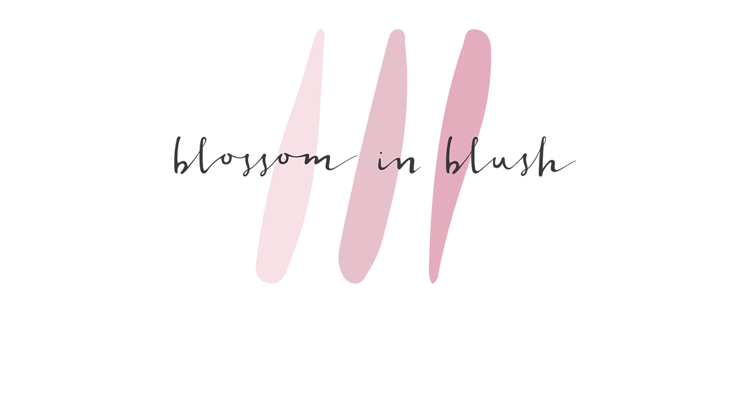 Blossom in Blush ©. Powered by Blogger.